I’m over on Wayfair’s My Way Home blog this week sharing some favorite turkey-day memories and a few ideas I picked up from the fabulous ladies in my life who’ve hosted my family Thanksgiving since I was a kid. I can’t believe there’s just a few more days until we feast on stuffing and pie — head over and check it out! Handmade Holidays: Cookie Mix Ladies Home Journal Feature! 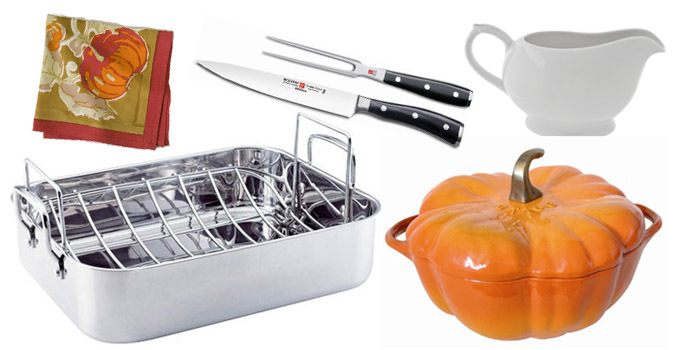 One Response to "Holiday Helpers: Thanksgiving"
love the pumpkin le crueset! !